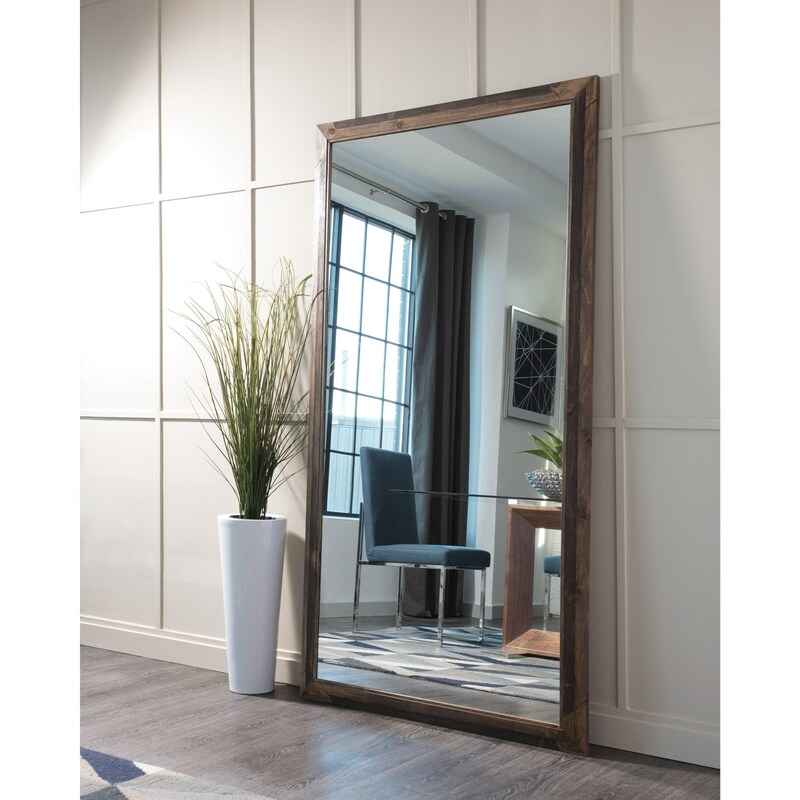 Accent your space with this large size mirror. Made of rustic solid pine that can be easily leaned against a wall. 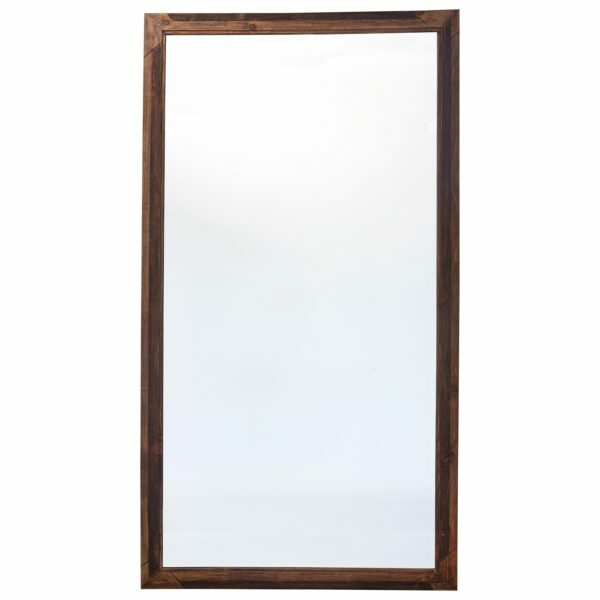 In a natural brown finish.